Medicaid expansion was one of the biggest issues left over from the 2013 Legislature, and it's likely to be a major point of contention for the new legislature that opens today. That's why legislators ought to begin looking at solutions to this thorny matter in the early days of the session, and resolve to keep any debates concerning it cool and constructive every step of the way. Encouragingly, the proposals offered by legislative Republicans last week start off on the right foot; unfortunately, they don't quite make it to the finish line. The proposals are being forwarded as an alternative to the plan from Gov. Steve Bullock, a Democrat, who would like to see the state take full advantage of the federal funding option provided under the Affordable Care Act. That option would expand Medicaid coverage to those earning 138 percent of the federal poverty level or less, and the costs of expanding this coverage would be covered by the federal government in full for 2016. By 2020, the state of Montana would be responsible for paying 10 percent of the expansion cost. Concern about those "down-the-road" costs was one of the primary reasons some legislators objected to the expansion plan in 2013. As a result, an estimated 70,000 Montanans have gone without health care coverage in Montana. It's time to put those fears to rest and get these Montanans health coverage at last. The Republican legislators who worked on the new proposals apparently agree that extending Medicaid coverage to low-income residents is worth the added cost to the state. However, their plan draws the line at childless adults who don't have a recognized disability. Knudsen visited the Missoulian before the Republican proposals were announced, but his comments and the proposals themselves echo the same assumption that many Montanans not covered by Medicaid are capable of working, but unwilling to. That assumption ignores the reality of employment in Montana, where thousands of people work hard at low-paying jobs that do not offer health insurance. Thousands more have part-time jobs – sometimes two or three of them. Even a full-time, minimum wage worker in Montana could not afford an insurance plan of the caliber offered to state legislators, for instance. Indeed, according to a Nov. 12, 2014 report posted by the Kaiser Family Foundation, 54 percent of those in the coverage gap nationwide are employed, and two-thirds belong to a family with at least one worker. More than half of these folks work for small businesses that do not offer health insurance. Republicans are still in the process of drafting specific bills, but loosely, their plan would expand Medicaid eligibility for those earning 100 percent or less of the federal poverty level. This would provide coverage to an additional 15,000 to 18,000 people. The proposals also include some reforms to Medicaid and medical liability laws. These reforms would, arguably, free up enough money for Montana to pay for the limited expansion, and Montana would only be on the hook to cover one-third of the costs of that expansion. It's highly unlikely that bearing more up-front costs now will save the state money, even in the short term. According to a December 2014 report from the Montana Budget and Policy Center, uninsured patients cost Montana hospitals nearly $400 million in uncompensated charges in 2013, creating "A Drag on Montana's Economy," as the report is titled. Under Bullock's plan, the state would hire a private company to manage claims under the expansion. A similar idea was recently endorsed by the Montana Chamber of Commerce. Surely, between Bullock's plan and the GOP's plan, our legislators can figure out which solutions are best for our state. And surely, expanding Medicaid to include as many low-income individuals as possible is best. Remember, 138 percent of the federal poverty level is only $16,100 for a single person. 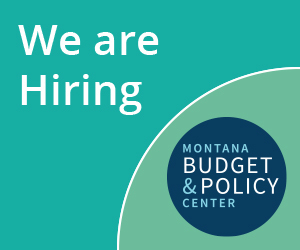 Low-income Montanans are not all jobless or caring for dependent children. Many are hard-working, low-paid individuals who simply earn too much to qualify for Medicaid now but too little to afford any other health insurance plan. Many others are struggling with struggling with circumstances and conditions that prevent them from working. All deserve health care.